The vugraph starts every night at 8pm California time (they are 15 hours ahead of us so it is 11:00 am the next morning there). See my previous post on watching vugraph for information on how to watch. My favorite to watch in the Senior event is Bob Hamman. Zia and Levin play less complicated systems and are great to watch in the Open. Kerri Shuman is wonderful to watch in the Women’s event. Click the read more for some URLs about these championships. Bridge may not play well on TV but you can find all recent major championships in stored online movies and you can watch online with expert commentary as they are played, using the BBO vugraph interface. The term for watching bridge is “kibitzing,” although a bridge kibitzer is expected to remain silent at all times. These are not movies with people’s faces but screens which show all four hands, the bidding, and the cards played in order by clicking next. To find old play records as “movies” you can go to the BBO archives or you can go to the USBF site and look at results of recent tournaments. 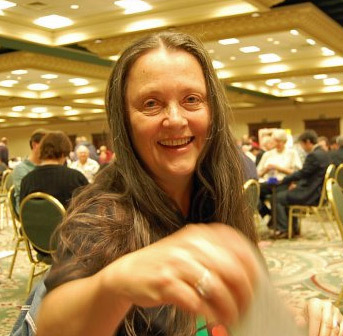 Kitty Cooper November 1, 2012 November 2, 2012 14 Comments on Tournament Game Times, What’s Your Opinion? The use of morning and afternoon game times instead of the traditional afternoon and evening game times at the recent Philadelphia Nationals generated a heated debate on the Bridge Winners website at http://bridgewinners.com/article/view/philadelphia-schedule/ as well as many comments on Facebook and other social media. Please contribute your opinion if you have ever played in a tournament to our online survey on our polls page. Warning, the survey does not work properly in Safari (on an Ipad or mac) where it will tell you that you have already done the survey. 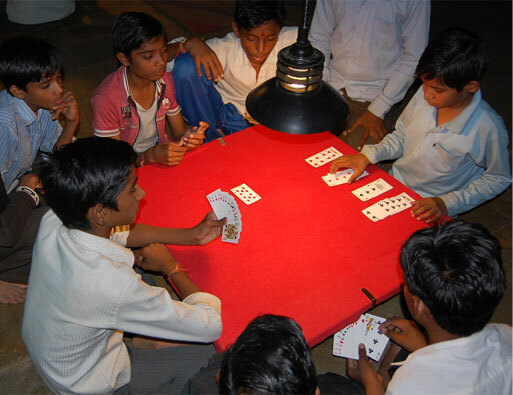 The blog also talks about what a successful town Raibidpura is because of the bridge playing. Quite fascinating. These days most of my bridge writings are published in the District 17 newsletter which my husband and I edit. Our columns from the newsletter are also online at the District 17 website. My Basic Bidding series there is mainly a reworking of the materials here without the drills.